Donate to Goodwill | Do good. Donate Stuff. Create Jobs. Do you know how easy it is to do good for your community? When you donate a bag of clothing, gently-used housewares or other household items, you are helping Goodwill® Industries of Southern Arizona support jobs and training services that open doorways to employment. Last year, because YOU actively donated and supported Goodwill®, we were able to serve more than 10,000 adults and 1,000 youth right here in Southern Arizona! THANK YOU! Find out what just one donation can do and calculate the impact of your donation by clicking Value of your donation*. Goodwill is also a Qualified Charitable Organization so Arizona donors can utilize the Charitable Giving Tax Credit. For more information, please visit the Arizona Dept. of Revenue. Please use QCO Code: 20333 to take the tax credit on your income tax returns. IT’S SO EASY TO DO GOOD! 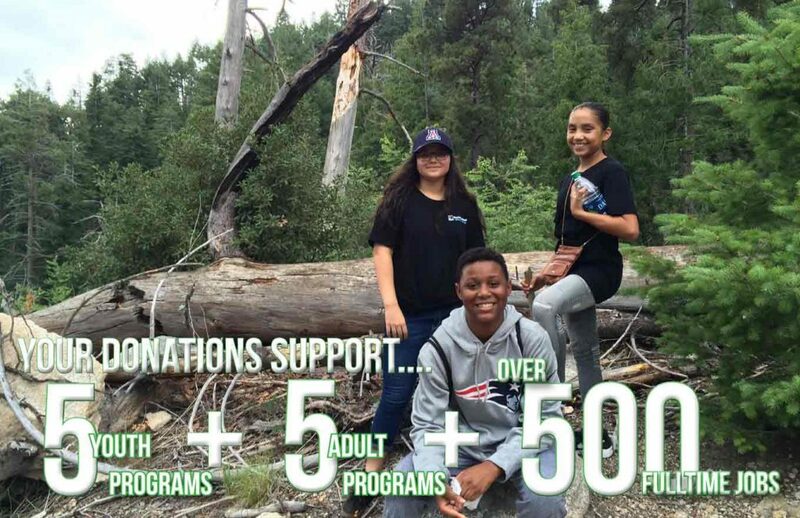 Anything you can donate, be it big or small, cash or clothes, will help us continue our mission of empowerment in Southern Arizona. When you stop at any of our thrift stores or donation centers and donate, you are making the choice to be part of the solution. This year your donations helped us keep over 30 million pounds out of local landfills. IT’S SO EASY…TO FIND US! We make it easy to donate! We have over 40 conveniently located donation centers and thrift stores in Southern Arizona. A donation attendant can help you unload your car and will offer a Donation Receipt* so you can track your tax-deductible donations to Goodwill®. Due to rising costs, we are no longer able to provide a residential home pick-up service. You can find a donation center near you on the map below. *By claiming a tax deduction for your in-kind donations to Goodwill Industries of Southern Arizona, you understand that by federal law, that clothing and household goods must be in “good used condition or better”. To claim a charitable deduction for your donations, you must attach a value to them. 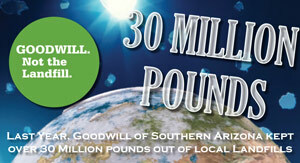 By law, Goodwill Industries of Southern Arizona cannot tell you the value. A donation receipt is needed as proof of your donation for tax deduction purposes. Pounds kept out of the landfill! This year, thanks to your donations we were able to keep over 30 Million pounds out of local landfills. Let's keep that number growing.